Google Adwords 1 to 1 Training Via Skype Are you just beginning with AdWords for your business and need some pointers on AdWords and how to improve your campaigns? Or just stuck with a particular aspect within AdWords? 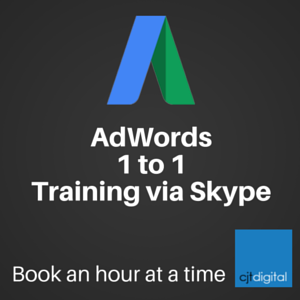 Whatever your questions book an AdWords hourly session via Skype and we can help you through it. Purchase the number of hours required and then we can arrange a suitable time to do the training over the phone or by email.